Readers Question: What is the Importance of Economics? Economics is concerned with helping individuals and society decide on the optimal allocation of our limited resources. What to produce? - Is it worth spending more on health care? How to produce? - Should we leave it to market forces or implement government regulations. For whom to produce? - How should we distribute resources, should we place higher income tax on the wealthiest in society? How to manage the macro economy? If economics can contribute to reducing unemployment, then it can make a significant improvement to economic welfare. For example, the mass unemployment of the 1930's great depression led to political instability and the rise of extremist political parties across Europe. However, the problem is that economists may often disagree on the best solution to these challenges. For example, at the start of the great depression in 1930, leading economists in the UK Treasury suggested that the UK needed to balance the budget; i.e. higher taxes, lower unemployment benefits. But, this made the recession deeper and led to a fall in demand. It was in the great depression that John Maynard Keynes developed his general theory of Employment, Income and Money. He argued that classical economics had the wrong approach for dealing with depressions. Keynes argued that the economy needed expansionary fiscal policy. - higher borrowing and government spending. The underproduction of goods with positive externalities (e.g. education, health care, public transport). Subsidise public services like health care and education. The importance of economics is that we can examine whether society is better off through government intervention to influence changes in the provision of certain goods. Carbon Tax - should we implement a carbon tax to reduce global warming? Another area where economists have a role to play is in improving efficiency. For example economists may suggest supply side policies to improve the efficiency of an economy. Economics is also important for an individual. For example, every decision we take involves an opportunity cost - which is more valuable working overtime or having more leisure time? In recent years, behavioural economics has looked at the diverse range of factors that influence people's decisions. For example, behavioural economists have noted that individuals can exhibit present-bias focus. This means placing excess importance on the current time period and making decisions our future self may regret. This includes over-consumption of demerit goods like alcohol and tobacco and failure to save for a pension. In classical economics, we often focus on maximising income and profit. However, this is a limited use of economics. Economics is also concerned with maximising overall economic welfare (how happy are people). Therefore economics will help offer choices between increasing output and reducing inequality. In recent years, economists such as Gary Becker have widened the scope of economics to include everyday issues, such as crime, family and education and explained these social issues from an economic perspective. Becker places emphasis on the theory of rational choice. The idea that individuals weigh up costs and benefits. Economics is important for many areas of society. It can help improve living standards and make society a better place. Economics is like science in that it can be used to improve living standards and also to make things worse. It partly depends on the priorities of society and what we consider most important. How to deal/combat global warming? Does globalisation help or hinder developing countries? How to live in a society without oil? Leave a comment, if you would like to make a suggestion on the importance of economics in your daily life. a big hand of appluse for the writer of da topic who made it so easy to understand and absorbant. this helped me a lot in my school project.a bit problem is there a filipino version?haha! I really like the blog because of easy and focused approach that writer has used in simple and less words. 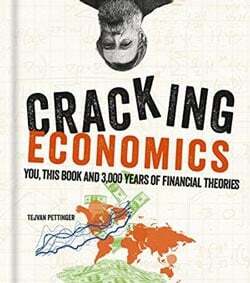 Useful for those who just want a overview about economics. very helpful and briefly detailed..thank you, writer. your notes really helped me alot. i have my exam tomorrow and and i easily mugged up these notes. thanks a lot to the writer...you just saved me from my prof's course. Please elaborate on GDP Vs. Happiness? Economics helps me to manage my money well when in school. thank you writer! A definition of what an economy means is helpful in understanding the importance of economic systems. The economy is a structured system that uses production, distribution, and services to create a stable environment. Therefore, an economic system is the production, consumption of goods and services with a set of institutions and social relations to create a balanced society. There are a few different types of economic systems such as capitalist, social list, mixed economies and communism. Economic systems do not have to be on a global scale or even a national scale. For example, economic systems such as distributism, the Japanese system, social market economy and Georgism are some of the available options out there. These systems may be state or private. A few are cooperative ownerships. A mixed economy is considered one with a mix of private activity and state planning. The best gauge for the importance of economic systems is balance. The world requires a balance that will ensure the survival of the system. For example, the human race has to find balance with food, shelter, water, and even income in order to survive. Income is necessary in order to buy shelter, food, and other necessities of life. Though money did not exist in the past, we have an economic system that demands income be included in our survival. The UK has a capitalist system which the government maintains order to sustain life in the UK. Since society can be part of economic systems, it is also an important factor in people getting along in a balance of nature. Humans are social by nature therefore an economy that promotes this social interaction will also increase the effectiveness of the economic system in place and the balance of one's life. thanks man! this helps me for my report tomorrow..